The main structure of Paris’ Notre-Dame cathedral has been saved by firefighters who spent hours heroically battling a blaze that destroyed most of the roof and toppled the spire of the iconic building. President Emmanuel Macron said the cathedral will be rebuilt. 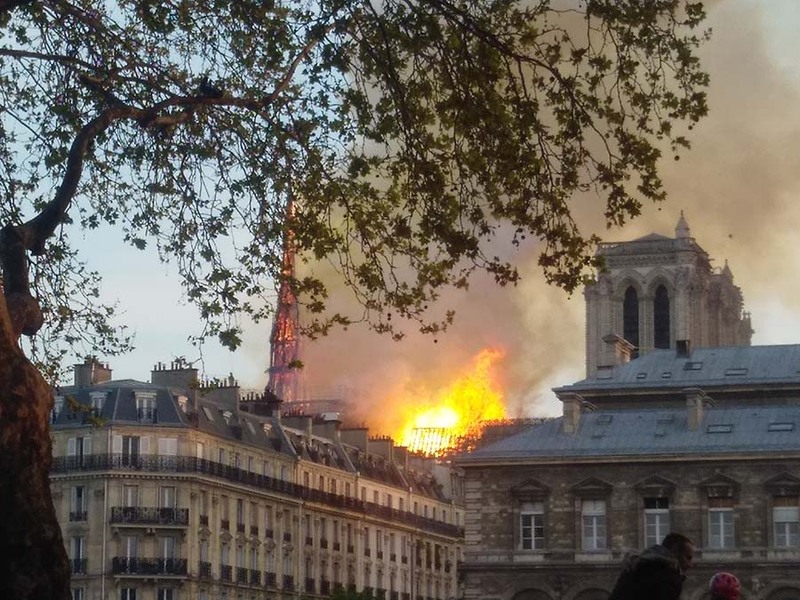 Late on Monday night, the city’s top fire official announced that main structure of Notre-Dame has been saved. Shortly after a visibly emotional President Emmanuel Macron told media at the scene that “we will rebuild Notre-Dame”. With tears in his eyes Macron said that “the worst has been avoided” thanks to the work of firefighters. The French civil protection service that they would not be taking on board a suggestion from US President Donald Trump, who had tweeted that ‘flying water tankers’ could be used. “Hundreds of firemen of the Paris Fire Brigade are doing everything they can to bring the terrible Notre-Dame fire under control,” the civil protection service said in a statement. “This is really sad – the saddest thing I’ve ever stood and watched in my life,” said British tourist Sam Ogden, a 50-year-old onlooker, who had come to visit the cathedral with her family. “It looked tiny to begin with, then within an hour it all came down,” Ogden added.